Please join us for our monthly luncheon held at the Derby Welcome Center Austin Room. Program: The program for the August luncheon will be two-fold. 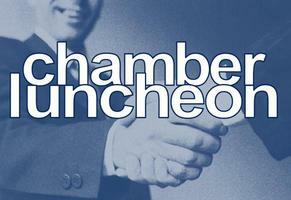 First, the Chamber will be talking about many of the upcoming events and activities planned over the next few months. There is something for everyone and even a few give-a-ways! Secondly, since the DRC’s program was cut short in June, Chris Drum will be back to answer any questions. This WILL NOT be a repeat of June’s program, but a question and answer session to discuss exciting upcoming changes at the DRC. So, have your questions ready for Chris and his staff. Check-in & buffet begins at 11:30 am. Program begins at noon. An advanced registration is required.